Over the past few years, there has been a tremendous rise in the popularity of artisan breads and there have been many books published on the subject that teach people how to make rustic, crusty loaves in their home kitchens. As good as these types of breads are, they’re not the only style of yeast bread out there and it would be a shame if all those wonderful loaves got overlooked. 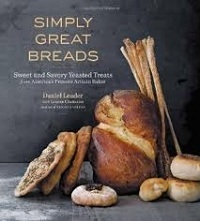 Fortunately, Simply Great Breads: Sweet and Savory Yeasted Treats from America’s Premier Artisan Baker is a bread baking-cookbook that does not overlook these breads and is packed with very tempting recipes for everything from english muffins to monkey bread. This variety means that it is easy to get excited about the recipes in the book. It also means that there is a lot to learn here for home bread bakers, since the book isn’t limited to one style of bread. 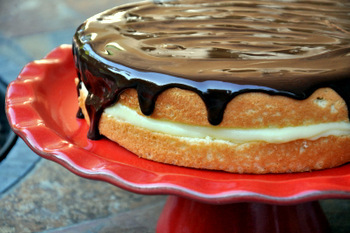 The recipes in the cookbook are designed to deliver good results in the most streamlined way possible. This doesn’t necessarily mean that they are all fast (some are easier than others, and some of the bread recipes require a little more work to put together a picture-perfect loaf), but it does mean that they are straightfoward and easy to understand as you work. The book is divided up into four chapters: Breakfast Breads, Bread Basket, Flatbreads and Quick Yeasted Treats. Breakfast breads are the simple types of bread you might want to have on an everyday basis, like english muffins and bagels. The Bread Basket chapter includes dinner rolls, challah and ciabatta. Flatbreads offers savory tarts and pizza dough. The quick treat chapter has the “special occasion” breads that you will want to indulge in on a Sunday morning, like yeasted pancakes, homemade donuts and monkey bread. 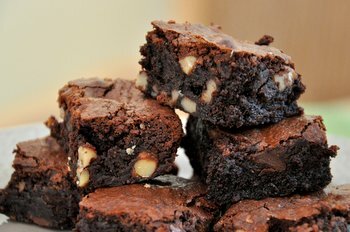 The recipes are all given by weights – both ounces and grams – and by volume, and the instructions are very detailed, so that novice and experienced bakers alike can produce the recipes without difficulty. The book is packed with photos of the different breads, which makes them all look very appealing. It is also packed with tips on how to get the best results and variations on many of the recipes, and those variations will help guide you into using these recipes to create your own original variations.